Limited quantities. Contact preferred store for availability. Bring an updated yet timeless look into your home with when you welcome this love seat into your living room. 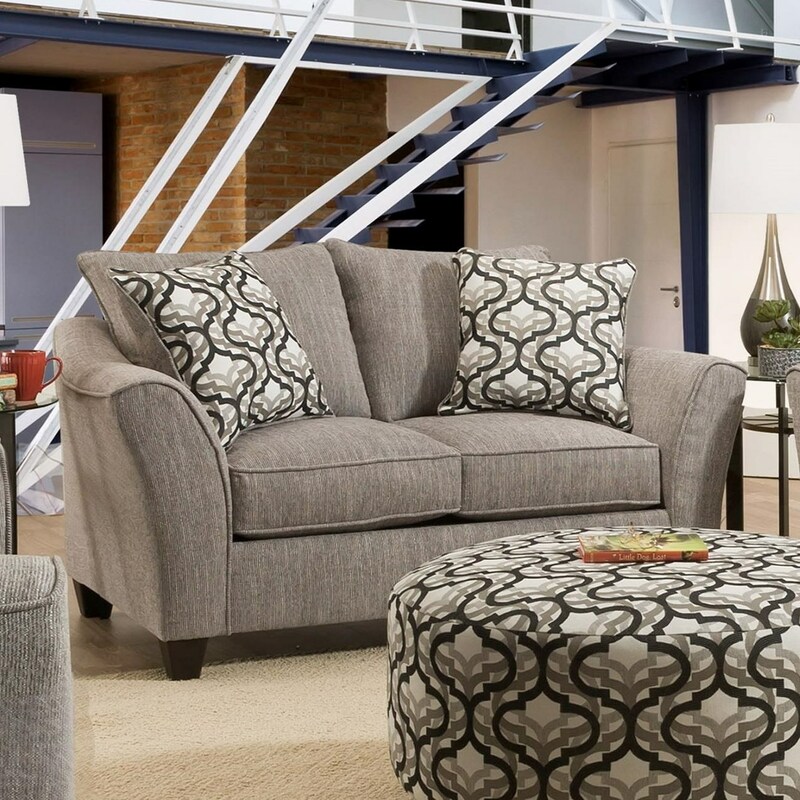 This love seat features flare tapered arms create a touch of sophistication while the plush cushions and pillows add the right dose of casual appeal to help you create a comfortable and inviting space. The 4550 Transitional Love Seat with Flared Arms by Vendor 610 at Becker Furniture World in the Twin Cities, Minneapolis, St. Paul, Minnesota area. Product availability may vary. Contact us for the most current availability on this product. Browse other items in the 4550 collection from Becker Furniture World in the Twin Cities, Minneapolis, St. Paul, Minnesota area.